Am I too old/ too young to come to camp? As long as you’re over 18, you’re the right age to come to camp. We’re expecting most of our campers to be between their late 20’s and mid 40’s, but if you want to be here, we want you here. We provide a sign language interpreter for camp. 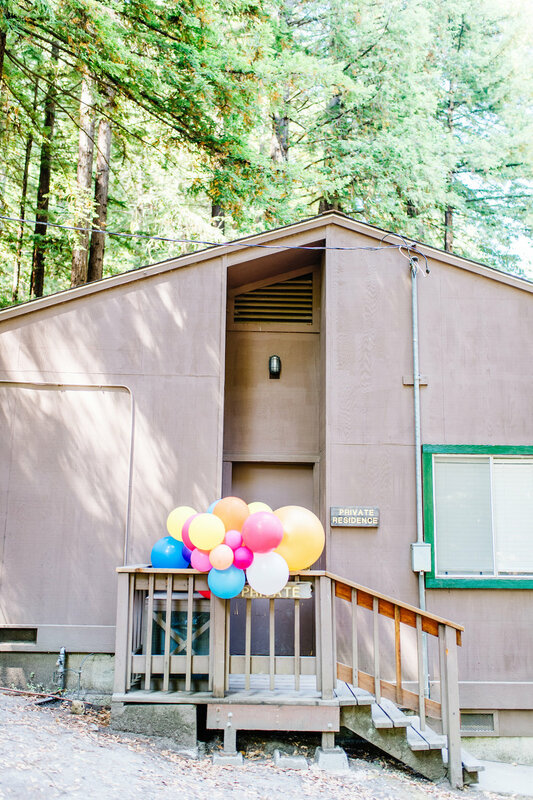 In addition, we can provide accommodations in a cabin that is fully accessible along with a fully accessible bathroom, and fully accessible food services. However, please keep in mind that the nature of camp means navigating over uneven dirt, since most of the site is not cemented. Feel free to contact us with any questions about accessibility, and we’ll be happy to help manage logistics to make camp workable for you. I’m a trans-woman, can I come to camp? I’m a trans-man or non-binary, can I come to camp? If you feel comfortable in a women focused space, absolutely. I’m a cis-man, can I come to camp? If I come to camp by myself, will it be scary? We expect that most of our campers will be solo travelers, but our goal is to make friends quickly. Will it be scary? Maybe. But it will also probably be worth it. I want to speak at camp, how do I do that? We'll be adding a submission page to our site shortly, but in the meantime, you can email us at team (at) apracticalwedding (dot) com and use the subject "The Compact Workshop Leader." I want to come, but this is my first time leaving my baby, will anyone understand why I’m tearing up looking at pictures on my phone? Girl, we gotchu. Both of our camp directors are leaving their kids for this, and you might just find them hiding under the covers at night looking at videos of their children when no one is watching. You won’t be alone on this, trust us. I’ll need to pump when I’m at camp, can you help make that happen? Absolutely. We’ll send out an informational questionnaire about a month before camp, so just let us know what you’ll need for pumping right there. We’ll set up a breast pump room, and have a fridge if you need to store milk. BYOP. I’m pregnant, will camp work for me? Of course! There will be some activities that you might want to opt out of (say, ziplining), but there will be so much to do around camp, you won’t feel like you’re missing out. If you need some extra accommodations (for example, a single room), please let us know, and we’ll do our best to make it happen. We can even keep it hush-hush for you, if you’re in your first trimester, and need a little extra TLC. Please note that the mattresses are not super plush, so you might want to bring a mattress topper to help with those aches and pains. I have special dietary restrictions, can you accommodate me? Yes! The kitchen is used to accommodating vegetarian, vegan, and gluten free diets as well as allergies. Please make sure to inform us of any food restrictions when you register, so we can make sure that the menu reflects our campers needs. Can I come to camp late/ leave early? Because camp is designed to be experienced from beginning to end, pending emergencies, we request that you only sign up for camp if you can attend the full session. If I’m flying in, do I need to rent a car? No. We’ll run a shuttle from SFO at 2pm and SJC at 2pm on Thursday. Cars will head back on Sunday with shuttles leaving camp to SFO at 12pm and 1:30pm. There will be a SJC shuttle leaving at 1:30pm. As long as you can make those shuttle times work, you don’t need to rent a car. I’m driving in, is there parking at camp? What is the road to camp like? For a California mountain road, it’s a pretty easy drive. Winding, but not too winding. You know, by California standards. Is this glamping? Are the beds fancy? No, this is definitely not glamping. This is summer camp, more or less like you remember it as a kid (but with way tastier food). The beds are standard camp bunk beds. That said, this camp regularly hosts 70 year old women, so if you’re willing to get a little rustic, you’ll do just fine. Remember cabins in your summer camp when you were a kid? Pretty much like that. Heated cabins, with bunk beds, that sleep on average 12 women. Most of the cabins have a bathroom and a shower. There are also bathhouses right near the cabins, that have multiple bathroom stalls, showers, and a lot more counter space. So if you need to spread out to get ready in the morning, head that way. We'll have plugs. I really want to sleep all by myself, is that possible? Yes! If you just really need me time, you can bring a tent and camp in the lovely field right by the cabins (there’s a bathroom nearby too). If you need to sleep alone for health issues, we have a few individual bedrooms within cabins. 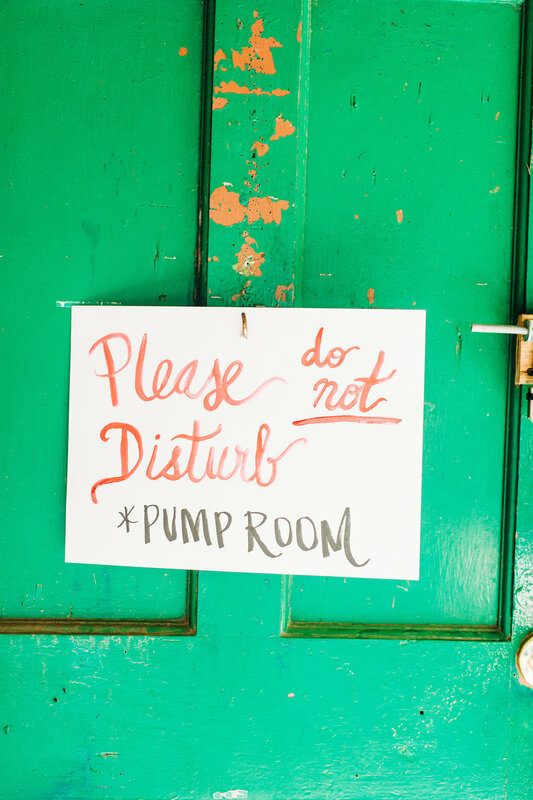 We can’t guarantee you one of those rooms, but we’ll do our best! I hate rustic anything, should I still come? If you’re willing to roll with it, and not complain, yes. If you know deep down it’s going to make you miserable to not have lots of amenities, no. Summer camp is what it is, and while we’ll strive to make you comfortable, we can’t turn water into wine. Though we might just... have wine. How are cabin assignments made, and can I request to share a cabin with a friend? You can absolutely request to share a cabin with a friend! Beyond that, we’ll make cabin assignments based on an informational questionnaire that we'll ask you to fill out a few weeks before camp. I really like to… sleep. Back at summer camp I remember sometimes people stayed up and talked, and I couldn't get my ten hours of beauty rest. Will that happen here? We're basically professional sleepers over here, so we’re gonna make sure those ZZzzz’s happen for you. We have a strict lights out policy in cabin at 10pm, and our team will be enforcing it. If you want to stay up later than that, you can hang out at the lodge, or by the campfire, as long as you keep your voices respectfully quiet. Y'all, it’s really good. Yes, you’ll be having back to basics food like tostada bowls, BBQ, and roasted chicken (with plenty of vegetarian options), but the food is fresh and delicious. Our problem has been mostly that we don’t want to stop eating it. So have another freshly made cookie, why not? Is there cell phone signal at camp? How about WiFi? There is no cell phone signal at camp, and WiFi is spotty at best. We’d suggest that you plan on not having service. While camp isn’t specifically about unplugging (we’re not going to make you surrender your phones or anything like that), we highly encourage it… as will the lack of signal. How will people get in touch with me if there is an emergency? I can’t pay for camp all at once, are there any other options? Yes! A $300 non-refundable is required to reserve your spot, and the balance is due on July 1st. If the balance isn’t paid by the due date, your ticket will be released. If I can't come, can I get my non-refundable deposit back? If I need to cancel my trip, can I get the non-deposit part of my ticket price back? If we’re able to fill your spot with someone on the waitlist, we’ll refund you the balance of your payment, excluding the $300 non-refundable down payment. If we’re not able to fill your spot, we will not be able to refund your ticket price. Are there any other costs at camp beyond the ticket price? We will provide optional massage services, for an extra fee (paid in advance). Beyond that, everything is included in the price, so you can forget about money for the weekend. I know I need to be at camp, but I just can’t afford it this year. Is there a way for me to come? We’ve reserved two volunteer spaces for those of you who want to attend camp, but can’t afford the ticket price. If you’re willing to come and join our leadership team for the weekend, you can apply to come for free. Please note: these volunteer positions are separate from our regular registration. Do NOT pay the non-refundable fee, because it’s just that… non-refundable. Is alcohol allowed at camp? Alcohol is prohibited, other than at specific events hosted by the camp. If I don’t want to participate in some of the activities, can I skip them? By all means. Feel free to skip anything you’d like, to take a nap, read a book, stare into space, or talk to a new friend. We ask that you participate in the opening and closing ceremony as part of camp bonding, but beyond that, it’s all about you. The Compact is an inclusive space, and we expect all our campers to be respectful of every single other person in camp, regardless of age, sexual orientation, gender identity, ability, religion, and anything else you can think of. We also have a strict #NoDramaLlama policy, both in life and in camp, so bring your chill game. Our general guidelines for camp follow the four agreements: Be impeccable with your word. Don't take anything personally. Don't make assumptions. Always do your best. That said, if any issues up while you’re at camp, we’ll have cabin leaders and senior staff members available, and any concerns will be addressed quickly and professionally. We want this to be fun, and we want you to feel taken care of.